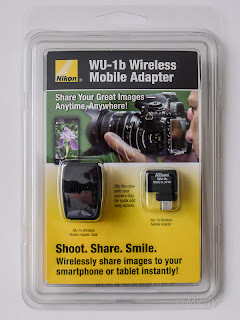 I finally received the Nikon WU-1b wireless mobile adapter for the Nikon D600. This wireless adapter is designed for two functions: it can facilitate review of your images using an Android or iOS smartphone, and it can help you take shots with remote live view. I was really excited at the prospect of being able to use my phone as an external live view monitor to take shots at unusual angles that may even be impossible without remote live view. Hit the jump to find out my preliminary review of how it performs. 10/31/12 UPDATE: Correction re AF Area Mode - You can use Face Priority AF Area Mode. My first impression was that the adapter was smaller than I expected. I thought it would be slightly smaller than an SD card. It's much smaller than that, and is closer to the size of a mini-SD card. The package comes in a blister pack that includes not just the adapter but also a small case that can be attached to your camera strap. 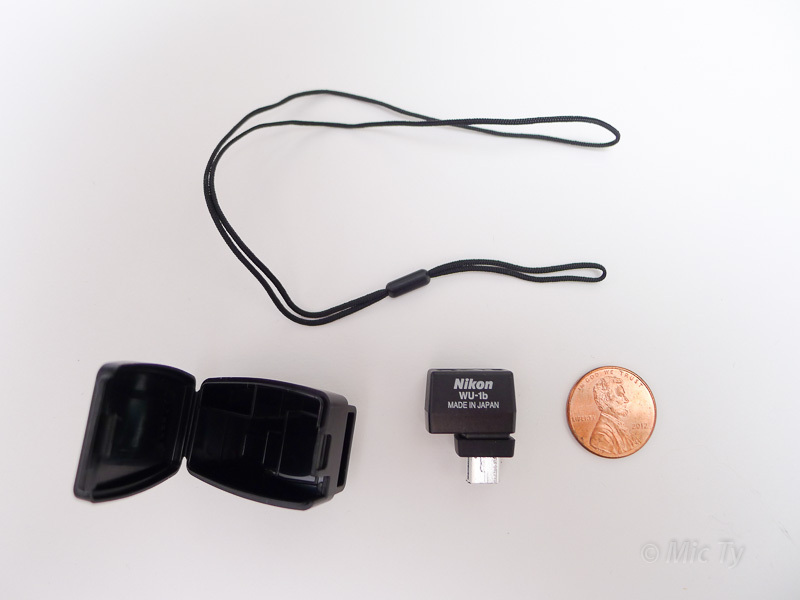 There is also a lanyard that can tether the adapter to your camera strap even while inside the small case. Not all iPhone/iOS and Android devices can use the Wireless Mobile Utility Adapter app. iPad 1 - works but requires iOS 5.1. The app is not native to iPad therefore it won't fill the screen. iPad 3 running iOS 6 - the app doesn't show up in the App Store no matter what I search. iPhone 4 running iOS 6 - the app shows up in the App Store and works. This is the phone I used for this review. iPhone 4S running iOS 6 - the app doesn't show up in the App Store no matter what I search. My wife's low-end Andoid phone - the Google Play store said her phone wasn't compatible. Suggestion: Before buying this, check if your phone can download the app first. The documentation wasn't very detailed, but it was easy to setup. 1. Download the free app to your phone. 2. Connect the adapter to the D600's mini-USB port and turn on the camera. The adapter will power on. 3. Turn on the phone's wi-fi and search for the ad hoc wireless network created by the adapter. Optional: establish a password for the wireless adapter's network. My phone memorized the password so I didn't have to re-enter it every time I wanted to connect to the adapter. That's it. You're ready to use it. 1. Connect the wireless adapter to the camera. While the adapter is attached, you cannot playback photos on the camera and you cannot use Live View mode. Pressing the playback or live view button has no effect. 2. Connect your phone to the wireless adapter's network. You connect to the network using your phone the same as you would for any wi-fi network. No multiple users: when one device is already connected to the wireless adapter, no other device can connect to that same adapter. 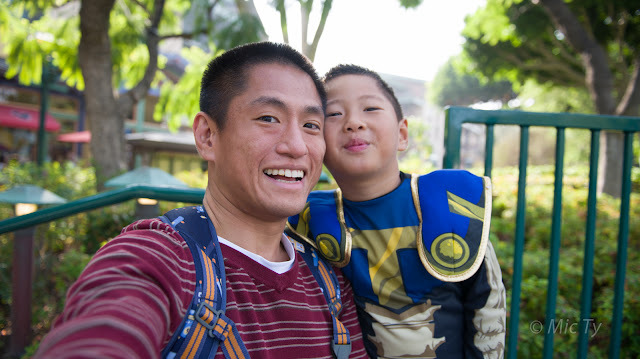 - Upon choosing "Take Photos," the camera's live view photo automatically activates. You hear the mirror lift immediately, though it takes about a second for the live view feed to start showing up on my phone. Once I see the live view feed, the refresh rate is very responsive, as if you are looking at the live view at the back of the camera. - Although flipping the camera phone on its side will rotate the screen just like most other apps, the live view feed's orientation always remains in landscape mode, regardless of the camera's orientation. If the camera is on portrait it is a bit tricky to adjust the camera. - You will see the shutter speed, aperture, number of shots left and battery level. Can't see ISO. You cannot change exposure settings. However, exposure is not locked. If you are in an autoexposure mode (P, A, S, Auto, etc.) the exposure will vary as the scene changes. - One cool feature is that you can tap anywhere on the phone's screen to choose the AF point. This is way faster than using the joystick. The AF area mode is always single depends on the Live View setting for the Live View mode that is currently selected (Photo or Movie as the case may be). The AF mode is either AF-S or AF-F depending on your Live View setting. You cannot zoom in the image to select the AF point more precisely. However, if you rotate the phone to the landscape orientation the image is larger. - Tap the "shutter" on the phone screen to take the shot. - If the Live View selector is on Live View Movie mode, then pressing the shutter will take a photo with 16:9 ratio. - The review of the shot is kind of slow. The workaround is to enable Raw + JPEG and choose small basic JPEG. With these settings, the image shows up after about 6 to 8 seconds. By comparison, if I use a large basic JPEG, it takes about 25 seconds. If I use raw, it takes about 40 seconds to see the shot. - The preview has several limits. First, you can zoom in but the preview is of a limited resolution (it seems it is the same resolution as the LCD screen). The resolution is the same regardless of the JPEG size chosen, making it hard to use it for confirming focus. The download preview also does not have auto-rotation for the orientation, so viewing a portrait image can be a little confusing. You also can't see the EXIF data. - If preview download is enabled, the 4 most recent shots will show up on the bottom of the screen (similar to Lightroom's filmstrip). If the phone is in landscape orientation, the filmstrip won't show up. Note: going back to the main menu will clear the filmstrip. - When you tap on a shot on the filmstrip you can bring up additional options: e-mailing, tweeting, or sending to another app. These options show up only in this mode, not the viewing photos mode (weird). On my phone I only saw two of the apps (I have several). I don't know how to add more of the apps. - The disadvantage of turning on the download is that you have to wait for the download to finish before taking another shot. That's ok when you have unlimited time. But if there are people waiting (e.g. group shot, or your friends/family waiting for you to finish taking your photo) it's not practical, and there's no way to skip the download temporarily without changing the settings. From the main menu, you can select "View Photos." In this mode you can see the shots on the D600's memory card, regardless of whether it was taken with remote live view. You'll see thumbnails of the photos (JPEGs appear separately from NEFs and NEFs are labeled as such). You can select photos then download them to your Photos app for editing, sharing, using as a wallpaper, etc. Downloading photos takes longer than I expected. From the main menu, you also have the option to change settings. Here you can set up the wireless network password, and the power-off timer for the adapter. One useful function in the Settings menu is that you can synchronize camera clock with phone clock. This is great if you have several cameras and you want them to be in sync with each other. Another potentially useful feature is that the operation of the wireless mode can be tied to the power level of the camera and/or the phone. You can set the minimum amount of power for the camera and for the phone. If the battery levels are below your threshold, the remote functions won't work and you'll get a warning about the battery level. This will help you avoid accidentally draining either your phone or the camera while playing around with the wireless mode. I haven't taken real world shots yet with this adapter. I'll update this post when I do. Here is a test shot. I took this while holding the camera at arms length. The live view was in movie mode, hence the 16:9 ratio. The live view focus was on face priority with AF-F. As you can see the focus is exactly on my eyes. Here is a casual group shot that I took (note: photomerged very quickly in Photoshop). 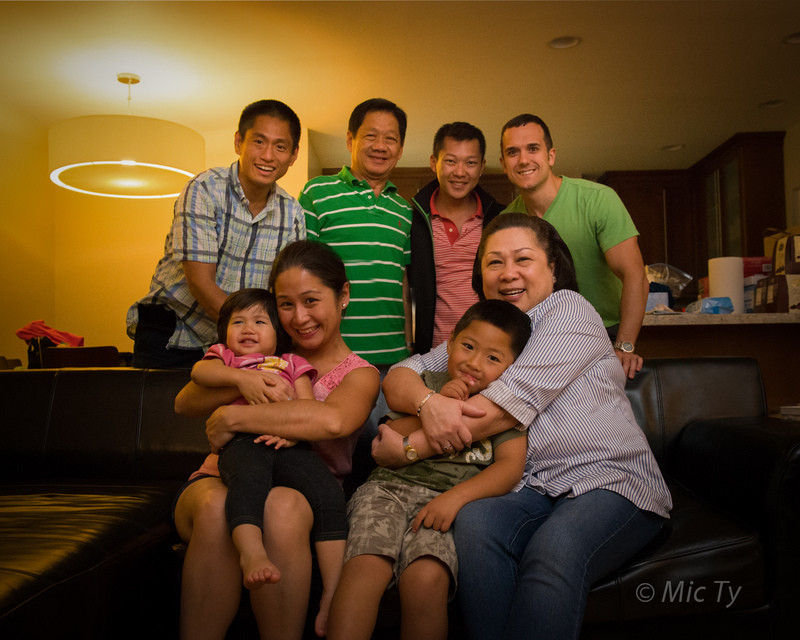 The D600 was on face priority. The focus was on the faces on the front row. The focus was spot-on. Wireless Mobile Adapter Utility instructions here. Nice review. I've just picked mine WU and it's as you tell. App could let apply some more settings in camera, and it feels a bit short of what it could be. It works nice to transfer photos to mobile and share them quickly though. Hi Marcos! Yes I think you said it very well. This could be so much better if the app could be improved. I hope that Nikon will update the app or maybe some 3rd party will produce a better app. Yes, absolutely. 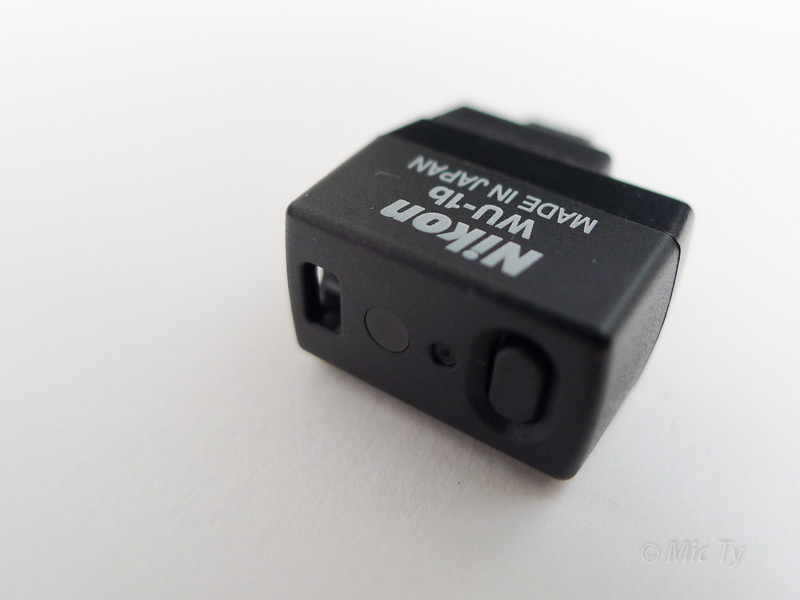 I wish Nikon would upgrade the functionality of the wireless adapter, if nothing else to keep up with Canon. Took some photos using the WMU app and now would like to delete them from the iphone. There are no options for this, anyone have an idea? Thanks. Hi bfn. First off, I'm assuming you're using the latest version, 1.2. First of all you can select whether images that you take with the WMU are downloaded to your phone or not. If you select the option to download them then the captured images will be downloaded to your camera roll. You can delete them from there. If you turn off the downloading option then the images will only be in your camera and will not be on your phone. I hope this helps! I have a quick question regarding the live view mode. Is it possible to go in full-screen mode with the live view when the mobile device is horizontally tilted? Thanks Kaito. Yes when you rotate the screen to horizontal mode, the live view occupies the width of the screen. I'm about to buy the D610 because of it's WU-1b wireless connectivity. "Although flipping the camera on its side will rotate the screen just like most other apps, the live view feed's orientation always remains in landscape mode, regardless of the camera's orientation. If the camera is on portrait it is a bit tricky to adjust the camera.". Doesn't Liveview on the mobile device work in portrait mode? Is the portrait Liveview sideways? I'm new to this and not sure exactly what you mean. A couple of shots to illustrate perhaps? Need to know before I buy! Hi sainty. Sorry, I should have said, "Although flipping the *phone* on its side ..." I hope that clarifies. I'll test this again later.